Steve Tait grew up in the Salt Lake Valley of Utah. From a young age, he developed a deep love for nature and wildlife, spending his boyhood hours catching lizards and scorpions. He also began to draw the natural world around him. He grew up hunting deer and native upland birds —pheasants, California quail and chukar partridge — though without the aid of a bird dog. After he graduated from high school, Steve’s interest in art continued to grow. He began taking lessons from local artist Robert Rumel who taught him how to observe his subjects accurately and thereby “draw what he sees.” Robert Rumel’s inspiration gained Steve confidence in his creative skills. He also studied and admired wildlife artists such as Raymond Ching and the sculptor Rembrandt Bugatti. 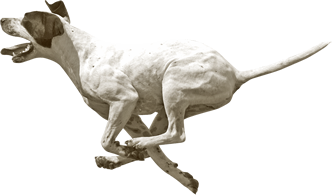 All throughout, Steve remained an avid hunter, particularly of mule deer. Much of his understanding of anatomy came from the taxidermy work he did to create his own mounts. His ability to accurately alter and sculpt form manikins determined the success of his creations and translated to his interpretation of the two dimensional. Hunting was not only pursued with a gun. Another of Steve’s foremost interests for most of his life has been Hawking and Falconry. He has had many species of birds and began making and selling hoods while still in junior high school. 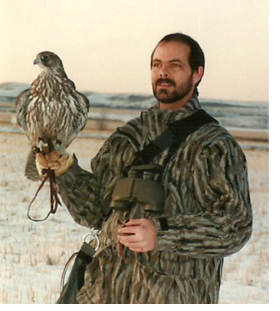 Eventually his interest in hunting with birds of prey led him to bird dogs. He can still recall the first time he saw a bird dog in action; some 30 years ago while he was hawking Sage Grouse with a friend in Idaho. They met up with a Falconer who owned a beautiful pointer named Chula. Watching her handle Sage Grouse was such a fantastic experience that he was hooked. From that time on Steve has owned several pointers and, of course, began using them as subjects for his art. 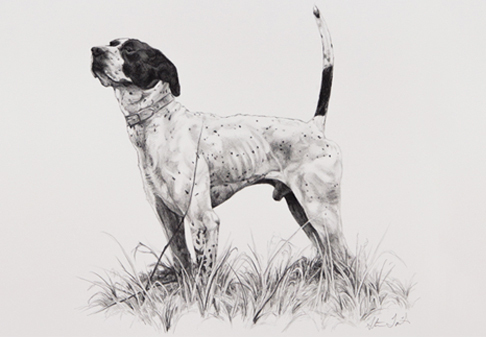 As the quality of his work was recognized, he began to receive commissions to draw personal hunting dogs and field trial dogs alike. Steve also enjoys oil painting and sculpture and hopes to pursue those more in the future. Recently, Steve has begun competing his dogs in field trials. We wish him luck in his new pursuit! 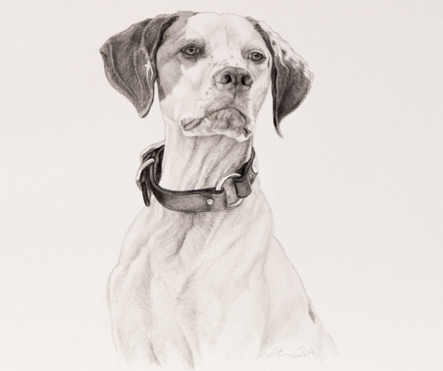 The sport is lucky to have such a talented sporting dog artist in our ranks.